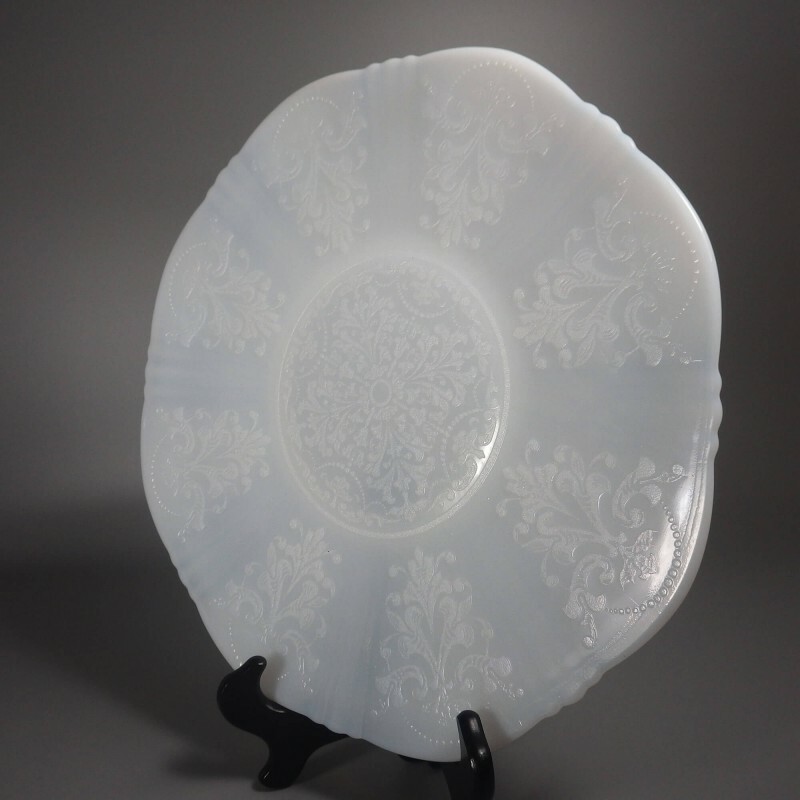 For those who prefer to dine large in elegant style, a creamy white Monax American Sweetheart salver plate by MacBeth-Evans Glass Co., produced during the Depression era, from 1930 to 1936. 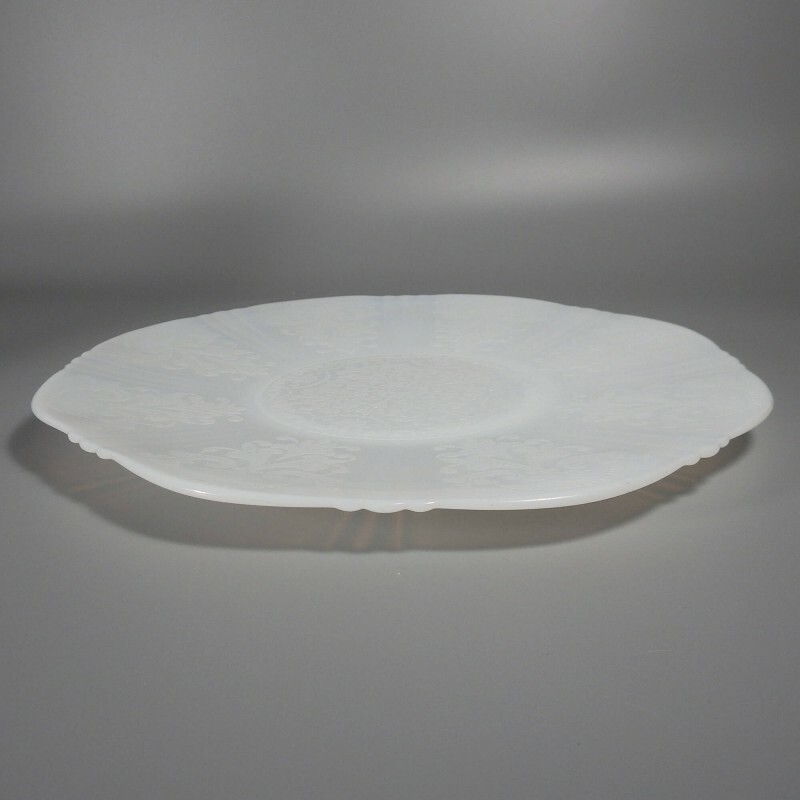 This plate measures approx. 11-7/8 inch in diameter, at the widest points. I have multiples available, all showing little to no signs of use, and almost all in excellent condition, with no nicks, chips, or cracks noted, looking virtually like new. 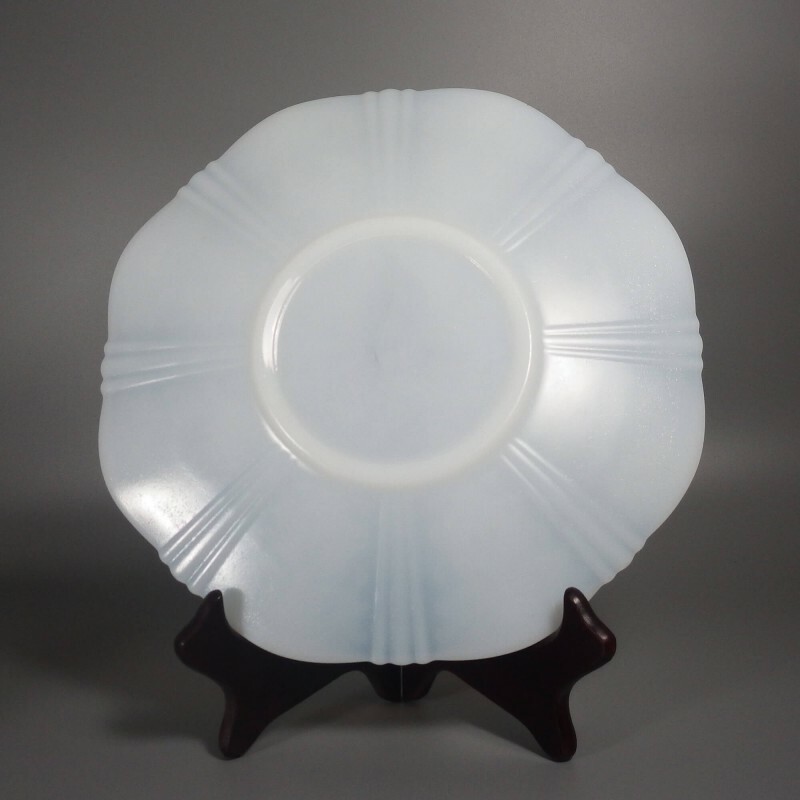 Two of the plates are being offered at a reduced price due to minor issues, with one having a small flake chip at the rim, and another with three short, darkened cracks at the edge, presumably the result of firing and/or flecks embedded in the glass. This plate is rather heavy, weighing over 1-1/2 lb. 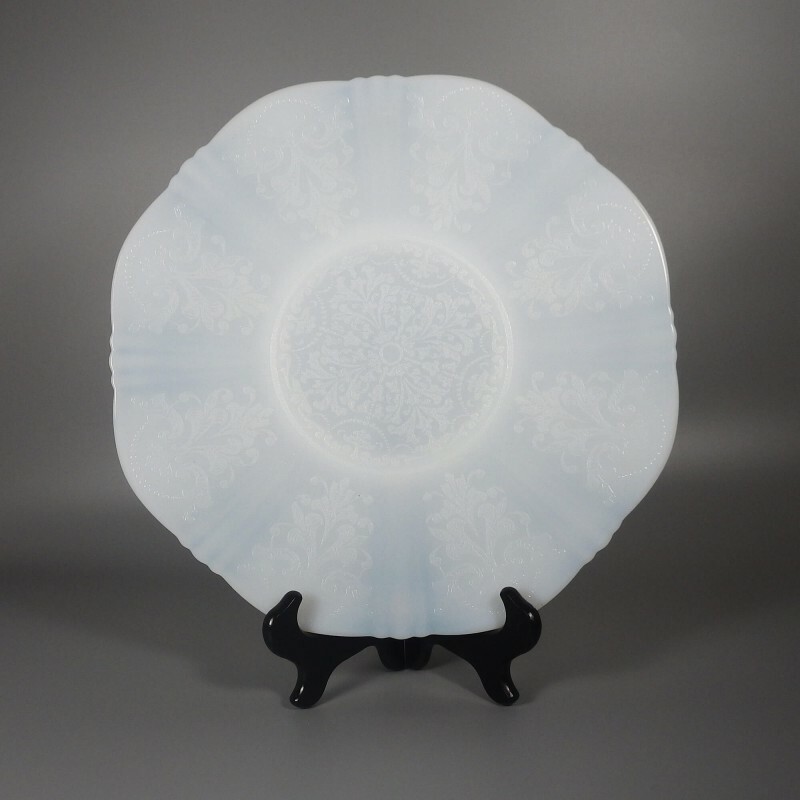 Please note I have multiples available as well as other pieces available in this sweet pattern, as shown below.